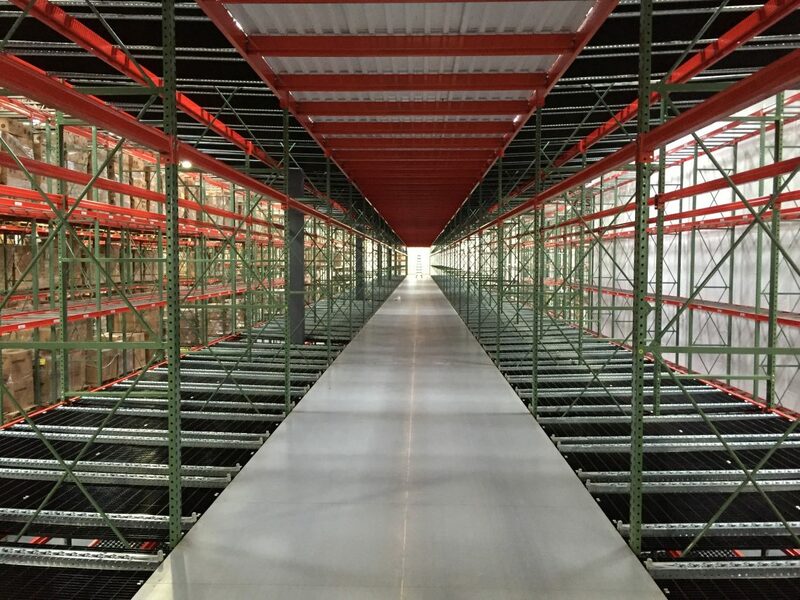 A pick module combines warehouse racking systems such as carton flow and pallet flow, selective pallet rack and conveyor to move products from receiving, to order selection, to shipping via a dynamic and interconnected system. Mallard gravity flow rack products are mainstays in pick module configurations throughout the U.S.
A carefully designed pick module creates efficient high-volume case picking by consolidating a large number of SKUs in a relatively small warehouse footprint. Pick modules can increase SKU capacity by up to 50% while increasing efficiency and reducing travel times. Mallard has a diverse and flexible line of carton flow products that will help optimize each picks, as well as carton and tote order picks for either consistent or varied carton sizes. 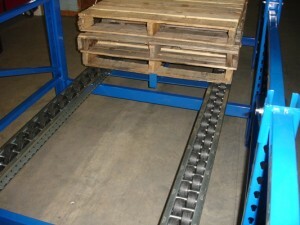 All carton flow tracks and beds are low maintenance and manufactured to last in the busiest warehouse environments. What Does Carton Flow Bring to Pick Module Optimization? Full pallet reserve storage for high-volume case-pick applications can be supplied within a pick module with pallet flow rack. Pallet flow optimizes space with a deep-lane capacity while still providing easy access to all pallets from the pick face. Space optimization also means increased productivity and less travel time for load and pick. What Does Pallet Flow Bring to Pick Module Optimization? Heavy-gauge galvanized steel rollers are manufactured to support a variety of load requirements including uneven or awkward containers. Ball bearing are permanently lubricated to maximize life and minimize jams. Use as part of the pick module or for stand-alone temporary order fulfillment. What Does Gravity Flow Bring to Pick Module Optimization? Affordable and reliable way to move materials from point A to point B.